This collection of stunning photographs of Alexander McQueen's runway shows would be a fabulous coffee table book if you often have fashion aficionados or well-dressed goths over for dinner. The book just came out in October. 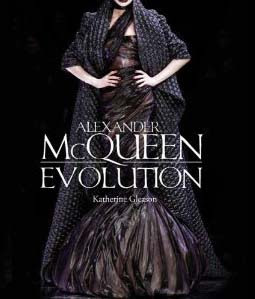 Not a biography of the designer, the book focuses instead on his fabulous runway looks and over-the-top designs. There are many, many photographs in this book, sure to keep you amused for hours.